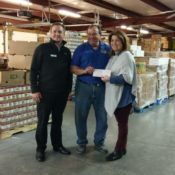 Founded in 1992, SCFM is a non-profit organization made up of dedicated staff and volunteers who serve and love our community to ensure no one in Sevier County goes hungry. 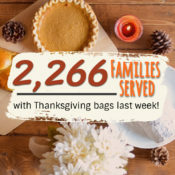 In 2018, Sevier County Food Ministries gave out over 75,000 bags of groceries to more than 6,000 families! 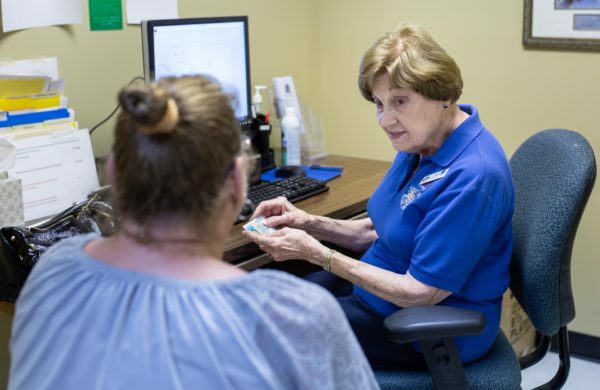 Many of the folks we assist are on a fixed income or receive financial assistance. An average household includes 3 people. A typical food bag contains about a dozen items from bread, eggs, peanut butter, canned meat, cans of vegetables and fruit, mac & cheese, corn muffin mix, pasta, or ramen. For food, visit us during our open hours. First-time visitors need to bring your Social Security card + photo ID to be accepted (plus, SS card for each dependant). Have questions? Call (865) 428-5182. It's Friday 4:28 AM — Sorry, we're closed. We accept small housewares and gently used clothing and household goods. All income from our sales goes to purchase more food. We provide necessities free of charge in crisis situations. The best part? Anybody can shop in our thrift store! We organize a variety of events to allow people to join the SCFM Mission. From charity drives to community service, this is where you can find out what’s going on, and get involved! 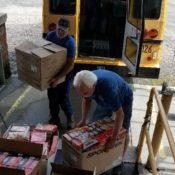 We exist to give food and hope to families in Sevier County, TN. 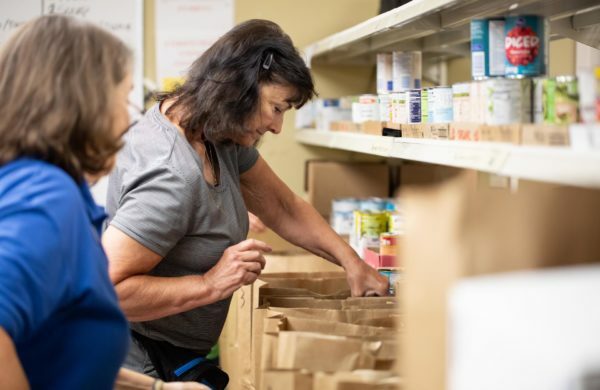 Our program is an emergency food resource for persons experiencing a food shortage or struggling to provide for their families. We are guided by the example of Christ, who understood hunger and fed the multitudes. 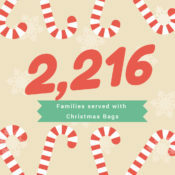 We pack the menus for each of the families that we serve. We are responsible for stocking the room, packing individual bags and preparing bags to be delivered to our neighbors. 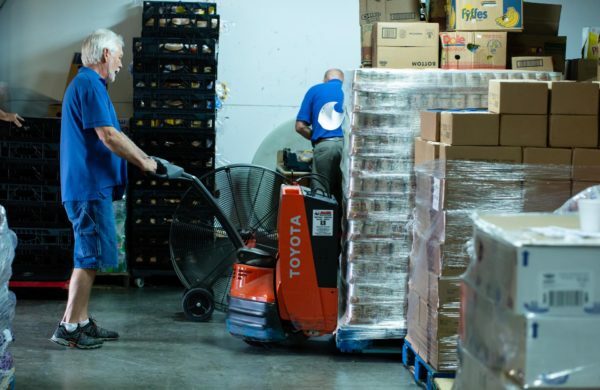 The warehouse is responsible for the receiving of food, bulk food item separation/ packing, and food pickup. 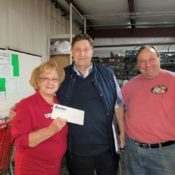 We receive items daily by pallet and boxes. If you’ve used hand trucks and pallet jacks before, we have a spot for you on our team. We are the first volunteers that our neighbors meet. Our job is to welcome and make our neighbors feel comfortable. Those who are visiting for the first time are checked in at the front desk and directed to our interviewers. The families coming to pick up visit our front desk first. There are several ways that you can help in our thrift store. 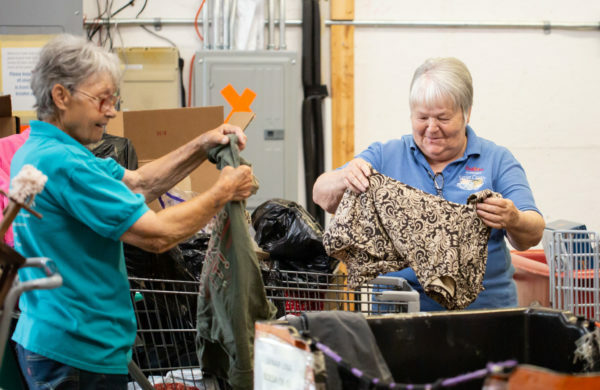 Thrift store volunteers act as cashiers, pricers, stockers and are responsible for sorting clothing and household items. Our volunteers gather and maintain the information from our neighbors and help them in requesting assistance. During the interview, we try to find out if there are additional services that are needed and direct neighbors to the appropriate county assistance offices. Minimal computer skills are needed. Interested in serving our community? We'd love to hear from you! Check out the number of ways to get involved. We are always looking for new ways to let people know what kind of services we offer at the Sevier County Food Ministry. We want our neighbors to know we are here and that we are available to help! Tell us who you are and your idea! Are you a business, church, or organization interested in becoming a regular sponsor? We want to meet you! There are different ways your organization can be of assistance. We would love to work with you to find the best way your group can support the Sevier County Food Ministry. Whether it is collecting a one-time donation or setting up an on-going sponsorship, please let us know how you would like to get involved! We need people! If you’re up for hosting a food drive in your area, we want to hear from you. 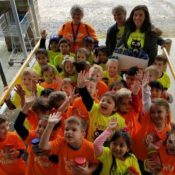 Interested in hosting a food drive? Let us know if you have a vision for it, and we will work with you to decide what would best benefit the food ministry. Sometimes there are certain types of items we are in need of, depending on the time of year and demand. Are you passionate about serving and loving others? 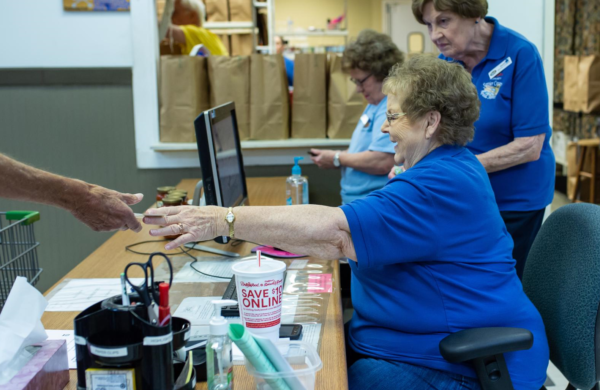 Our ministry relies on dedicated people like you! We view ourselves as relational. If you have any questions about our ministry, suggestions on how we can improve, prayer requests, or a great testimony that you want to share, let us know! If you prefer to talk to a real live person, please pick up the phone and give us a call at (865) 428-5182.